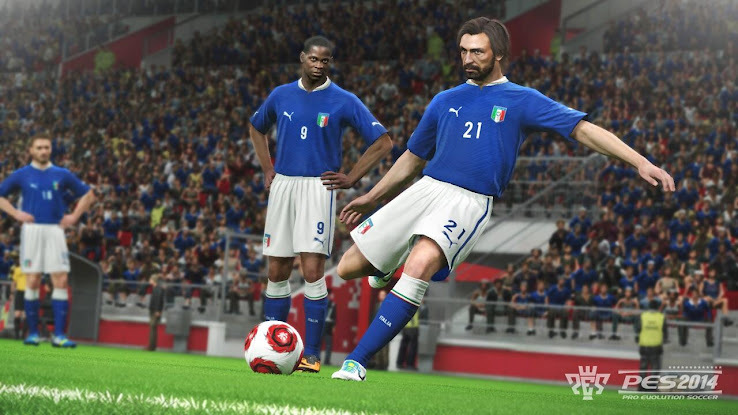 Konami just released this new PES 2014 screen showing Italy and Juventus goalkeeper Gianluigi Buffon making a save, while being watched by De Rossi and Chiellini. 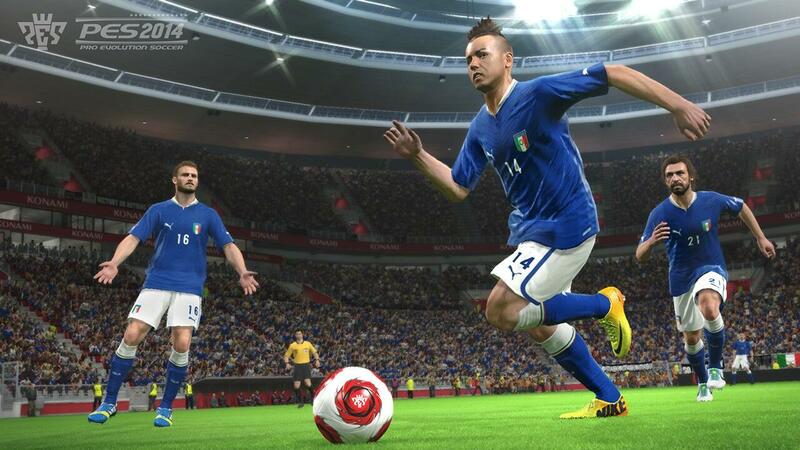 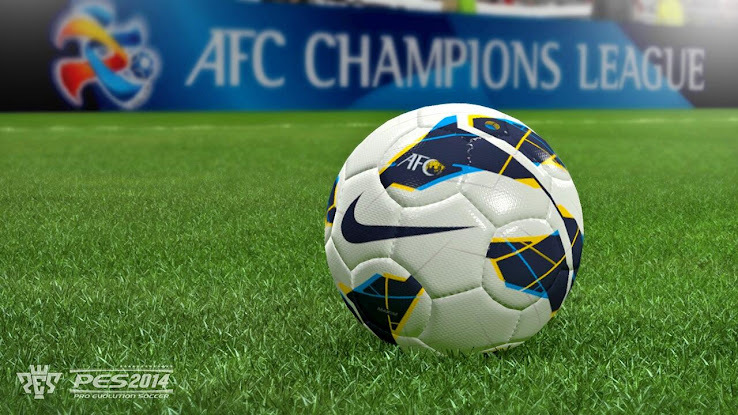 We can notice a few things in this screen - unlike the first screens released, this one has up-to-date boots, i.e. the new Powercat colorway for Buffon as well as the adidas Nitrocharge for De Rossi. 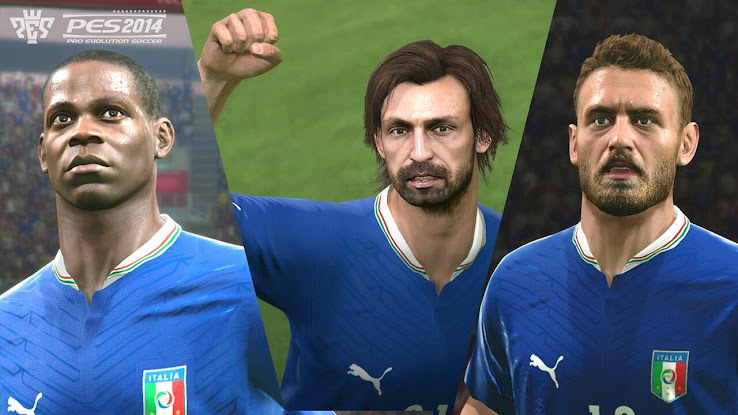 Buffon also has a new face and finally a hairstlye like the one he has in reality, and the face looks great! Konami then released this pic featuring the faces of Balotelli, Pirlo and De Rossi. 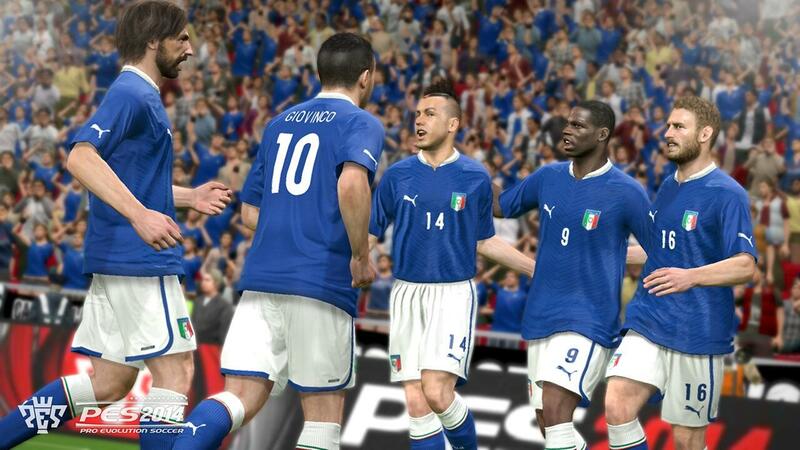 Italy players celebrating a goal. El Shaarawy running with the ball.